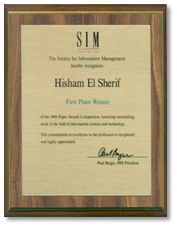 The SIM Award Competition is the leading award in the information systems field. This juried competition is for the best-implemented work in the World. Wining papers are a collaboration and an outcome of the best in academic research frontiers and the state of the art practical implementation. The awarded work gains a widespread recognition and visibility for exemplary IT leadership and highlight the impact of IT in firms applying IT strategically. 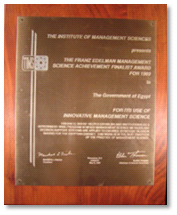 The Franz Edelman Award for Achievement in Operations Research and the Management Sciences recognizes excellence in the execution of management sciences and operations research on the organizational level. The award is presented annually by the Institute for Operations Research and the Management Sciences (INFORMS). 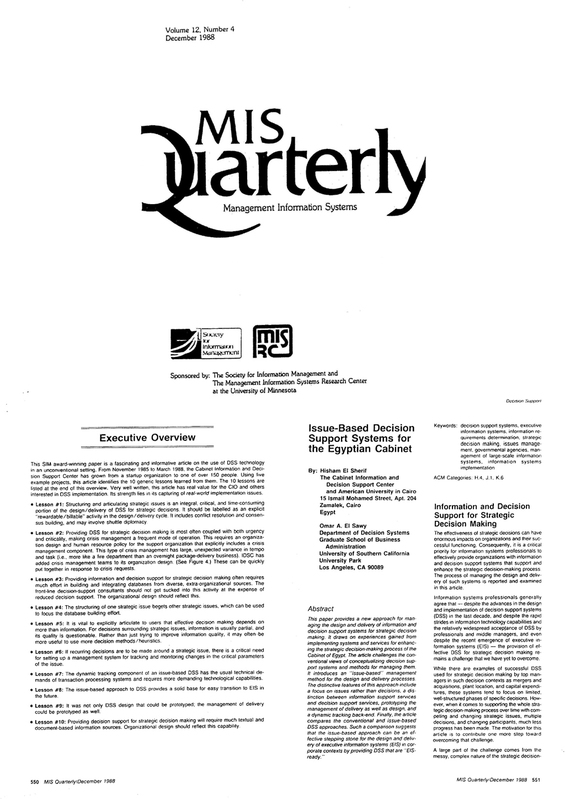 INFORMS has been a merger between the Institute of Management Sciences (TIMS), an international organization for management science professionals and academics, and the Operation Research Society of America. The prize is awarded for implemented work that has had significant, verifiable, and preferably quantifiable impact on governments, business and organizations. 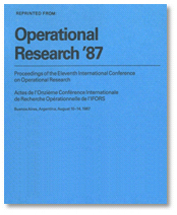 The International Federation of Operations Research Society (IFORS) Prize for Operations Research and Development recognizes leading and innovative operations research applications in developing countries. The implementable work should assist organization in its decision Making with original contribution in methodology and implementation. 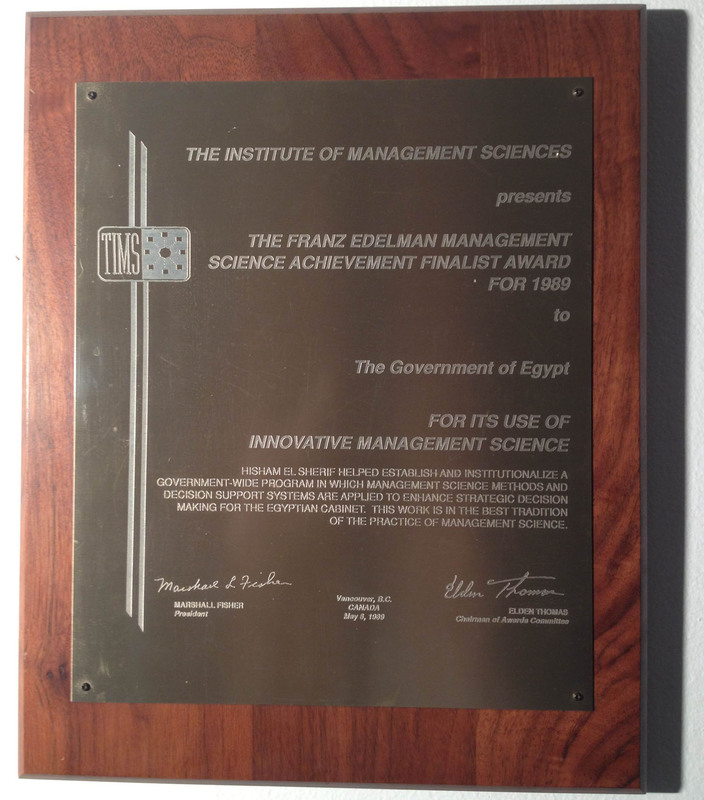 This award was recognized in the triennial meeting held in Argentina in 1987. 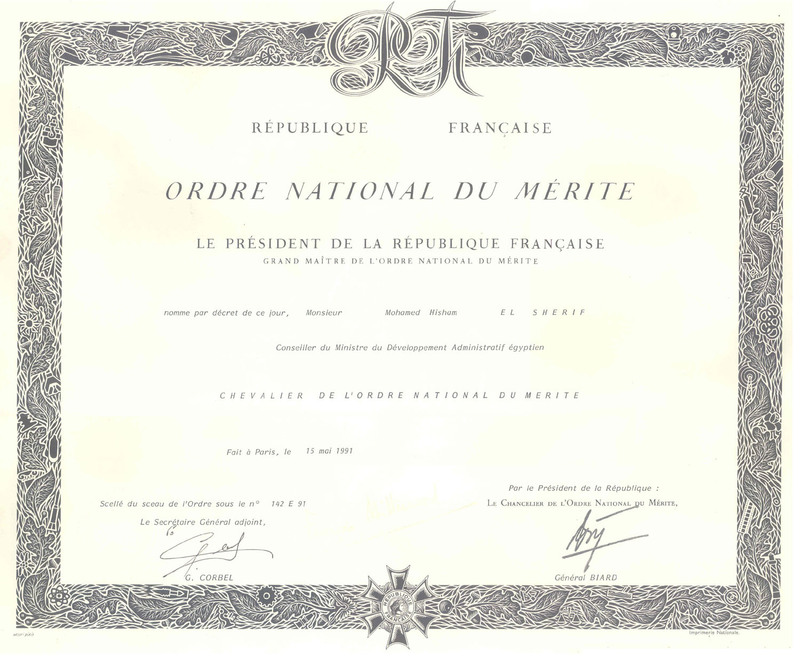 The National Order of Merit (French: Order national du Mèrite) is an Order of State with membership awarded by the President of the French Republic. 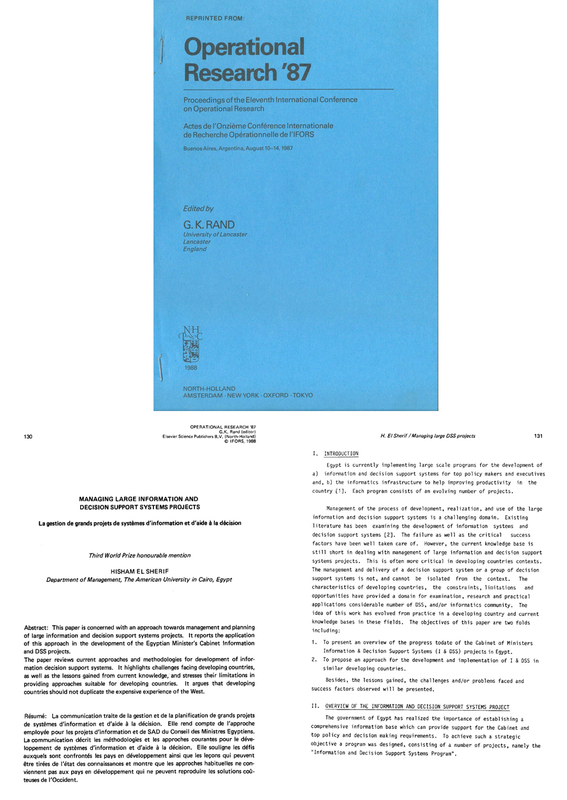 It was founded on 3 December 1963 by President Charles de Gaulle. 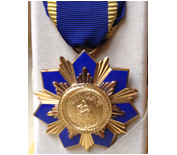 The President of the French Republic is the Grand Master of the Order and appoints all other members of the Order, by convention, on the advice of the Government. 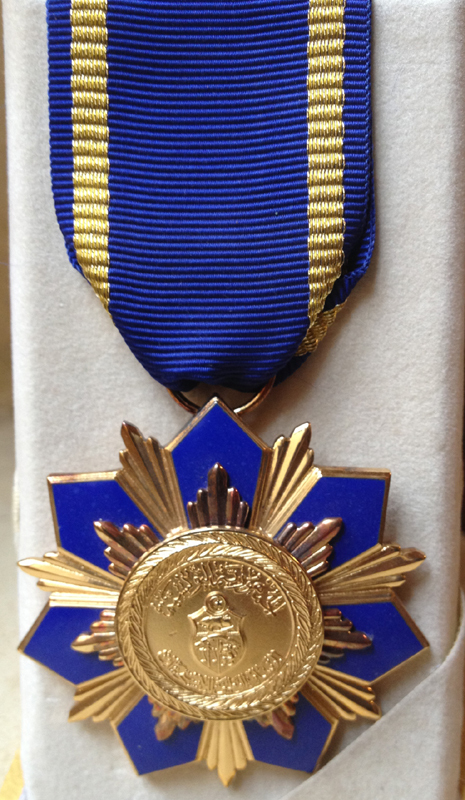 French citizen and foreign nationals can be received into the order for distinguished civil or military achievements. The Order has a common Chancellor and Chancery with the lègion d'honneur. 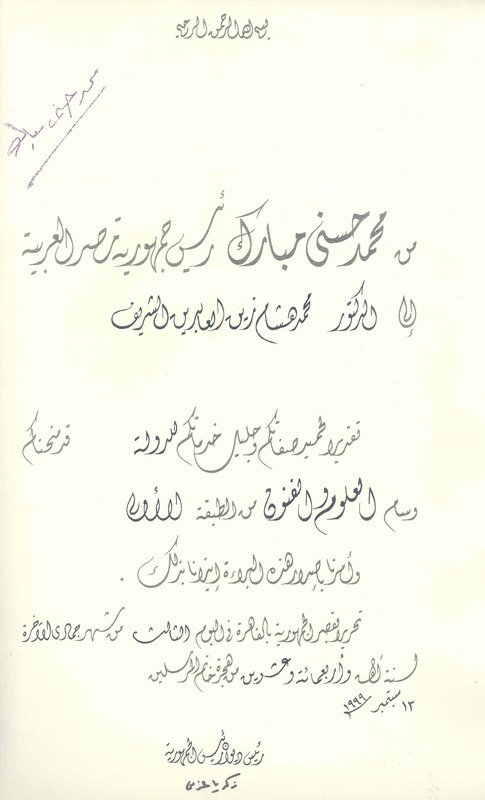 The First National Order of Merit for Sciences and Arts is awarded by the President of the Republic according to law 12 of 1972. 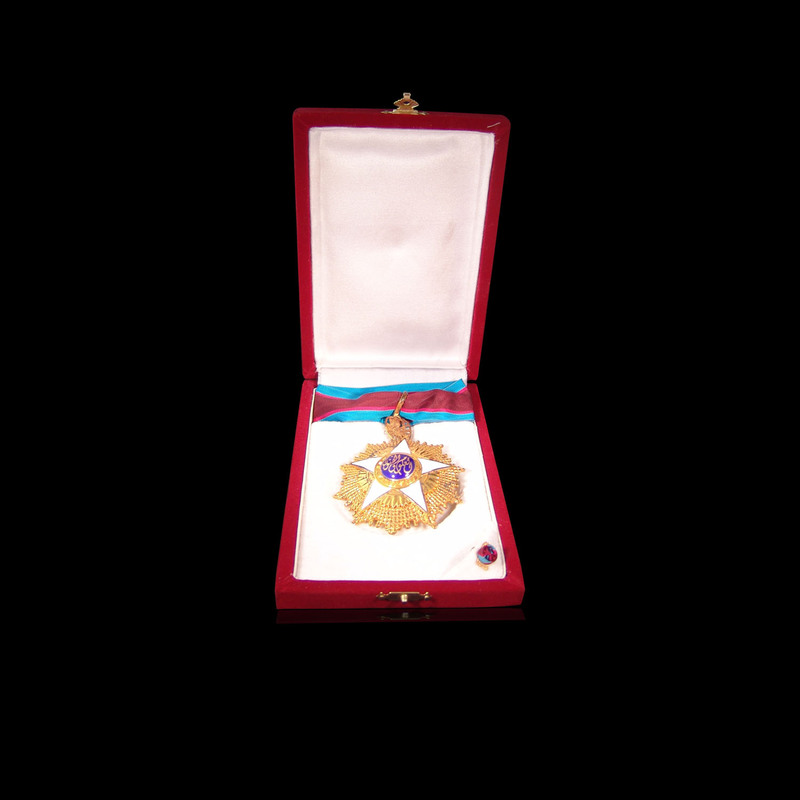 The medal is offered for those providing distinguished services for the nation in sciences, art and literature. The award has three levels first, second and third. 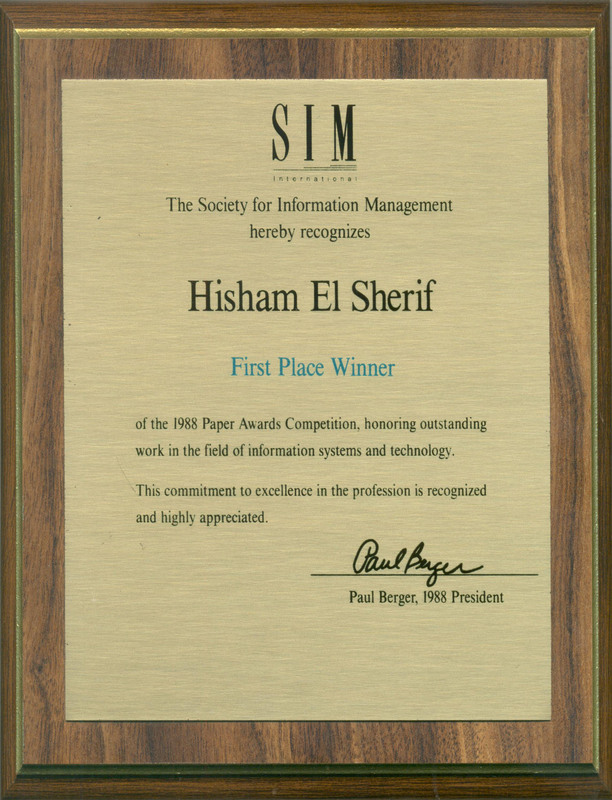 The award was given to Dr. Elsherif for his leadership in transforming Egypt to the "Information Age". 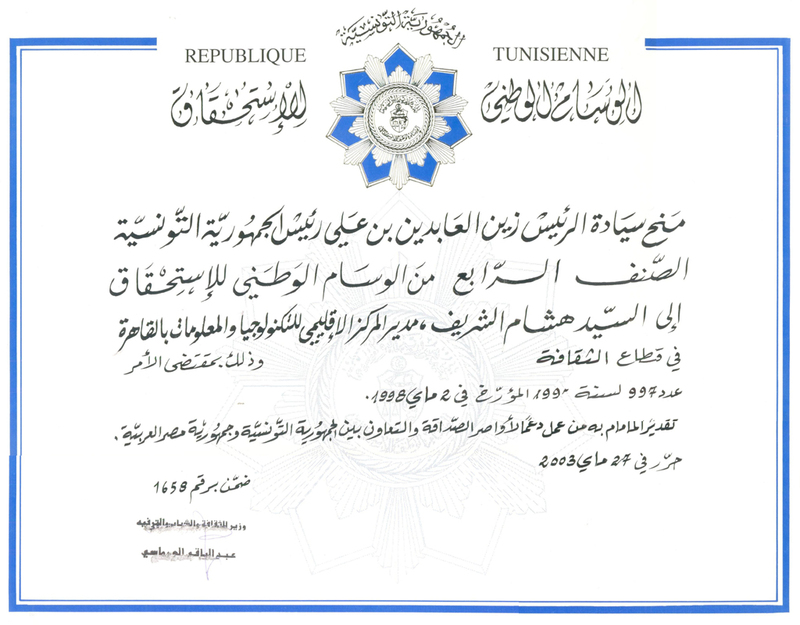 The Medal of National Merit is awarded for those providing distinguished services for Tunis. The award was given to Dr. Hisham Elsherif in recognition of the leadership and contribution to digitize and preserve culture heritage in Tunisia. © RITSEC 2012. All Rights Reserved.